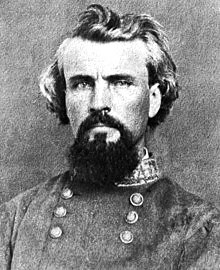 Richard "Rick" Justice will speak on "Tennessee Blitz: Nathan Bedford Forrest's Lighting Raids in Western Tennessee" at the Hickman County Historical Society, 107 S. Washington St. in Clinton on Saturday, May 18th at 10:30 a.m. The program is a presentation of the Jackson Purchase Historical Society. There is no charge and the public is invited to attend. Do you know someone else who would like to see this? Email editor@westkyjournal.comTo post a comment, become a member and log in. Our promise to members: we respect your privacy. We absolutely do not share your information with advertisers, aggravators, solicitors of any kind.